STORServer Enterprise Backup Appliances are a suite of fully integrated, award winning solutions for backup, archive and disaster recovery. Each appliance includes certified hardware and software for comprehensive, easy-to-use backup. Appliances are scalable, enterprise-wide solutions that support many OS, email and database platforms, various network connections (NAS, SAN, LAN, WAN) and 100s of storage devices. 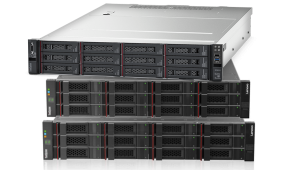 The STORServer Enterprise backup appliance series includes several base models, all capable of custom configuration to best suit your business and data requirements. Built with the best hardware and software available, our backup appliances stand up to their reputation as robust backup and recovery solutions. 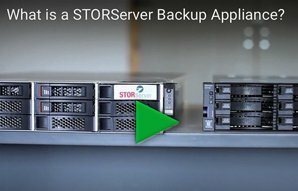 STORServer Backup Appliance Solutions can be can be configured to run IBM® Spectrum Protect™, IBM® Spectrum Protect Plus™, or Commvault® Software. To complement IBM Spectrum Protect, STORServer offers a customized suite of products to simplify administration and management, including STORServer® Console (SSC), fully integrated with Spectrum Protect to ensure the maximum data protection that Spectrum Protect provides. Many features and benefits are shared, but there are some specific differences. Before making your choice, be sure to work with your STORServer partner who can help you determine which choice may best suit your organization’s data protection and recovery needs. Point-in-time copies of regulated data, WORM media available. STORServer Console reduces daily management to under 30 minutes regardless of the amount of data protected or number of appliances. Hierarchical virtual storage pool technology reduces costs and improves performance. Daily automated generation of a customized server DR plan. Intelligent backups and restores utilizing a revolutionary “One Pass” backup and restore strategy, where only new and used files are backed up. Managed archives as a separate function from backup retention policies without transferring the data again. Ability to easily protect and manage documents that need to be kept for a certain period of time. Multiply your capacity, throughput, and resiliency by consolidating multiple deduplication nodes under a single global reference pool. Commvault software deduplication benefits extend further across the enterprise and the cloud with 4th Generation Deduplication technology. Additionally, STORServer offers excellent Support options to help you manage the enterprise backup appliance. STORServer is also proud to offer certified backup administrator training to make sure your solution is complete. We're here to help you choose the best options for your specific data requirements.